Paul Gambaccini tells the story of a pioneering DJ who played a part in the birth of rock'n'roll and start of Elvis' career - Dewey Phillips. Paul Gambaccini continues the fascinating story of a pioneering disc jockey who played a part in the birth of rock 'n' roll in Memphis and early career of Elvis Presley. 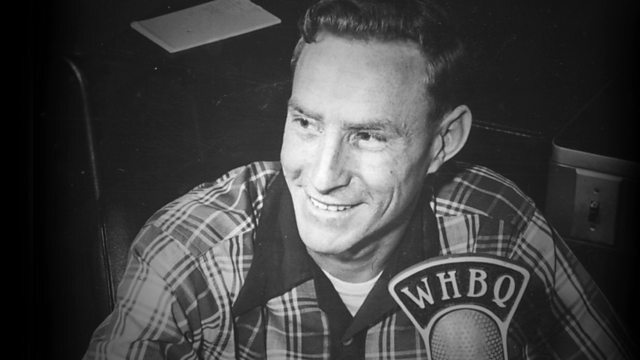 A full two years before Alan Freed "discovered" rock 'n' roll, Dewey Phillips was playing rhythm and blues on WHBQ to an audience of black and white listeners. His zeal for rhythm & blues and country set the stage for both Elvis' subsequent success and the rock 'n' roll revolution of the 1950s. Significantly, Dewey captivated a huge white audience with previously forbidden "race" music. Dewey was the first DJ to introduce an Elvis record on the radio in July 1954. On his Memphis radio show Red, Hot & Blue, he played an acetate of the first single That's All Right (Mama) cut for him by the owner of Sun Studios, Sam Phillips (no relation). Legend has it that Dewey played the song anywhere from seven to eleven times in a row and he interviewed Elvis that night. Elvis always acknowledged his debt of gratitude to Dewey - not only for his first radio exposure but also for the influence on his musical development through hearing the exciting mix of blues and country records every night. The programme includes extracts from Dewey's radio and TV programmes of the 50s and early 60s. Interviewees include Louis Cantor - author of Dewey And Elvis - who worked on Memphis radio station WDIA; Charles Raiteri - another Memphis radio veteran; Humes High School classmates of Elvis: George Klein and Jerry Schilling; and an archive interview with the late Memphis musician and producer Jim Dickinson. Black Music Originals Vol 2. THE ELVIS PRESLEY SUN COLLECTION. THE BEST OF RAMSEY LEWIS.